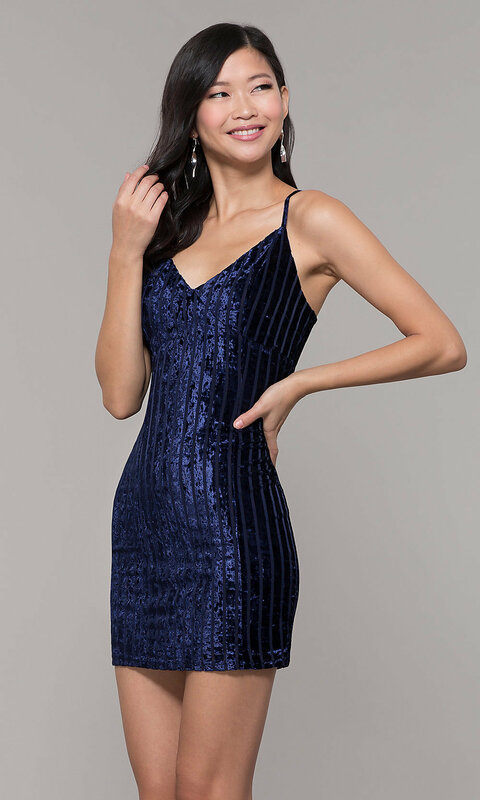 In midnight blue, this short velvet wedding-guest dress is gorgeous. The alluring blue velvet of the sheath dress cradles the curves from neckline to hem and features unique burnout stripes for an edgy look. 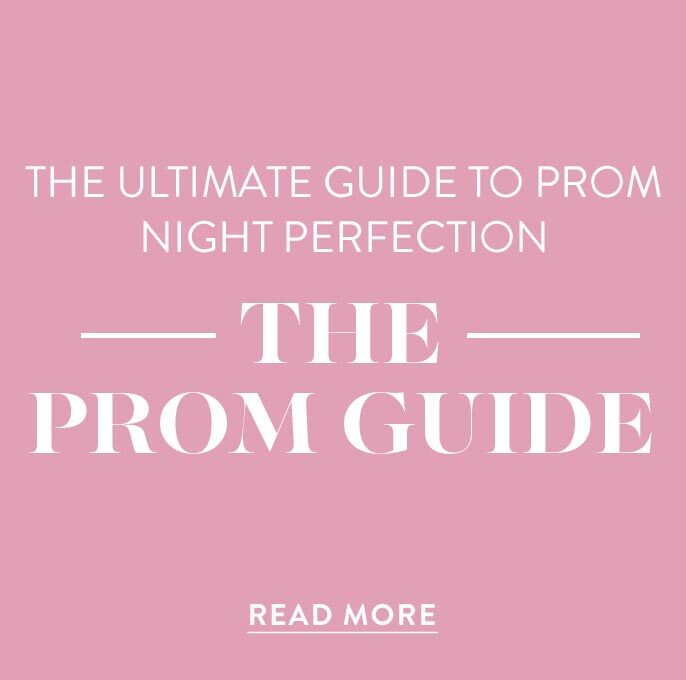 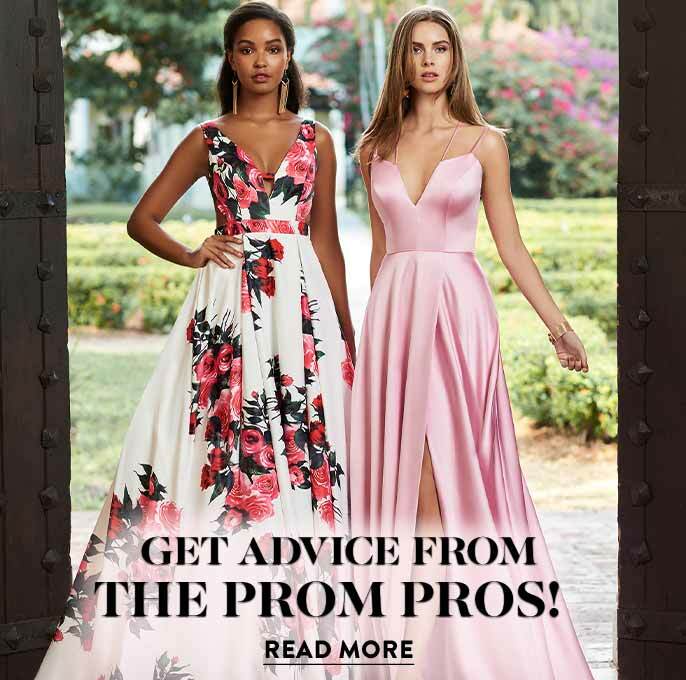 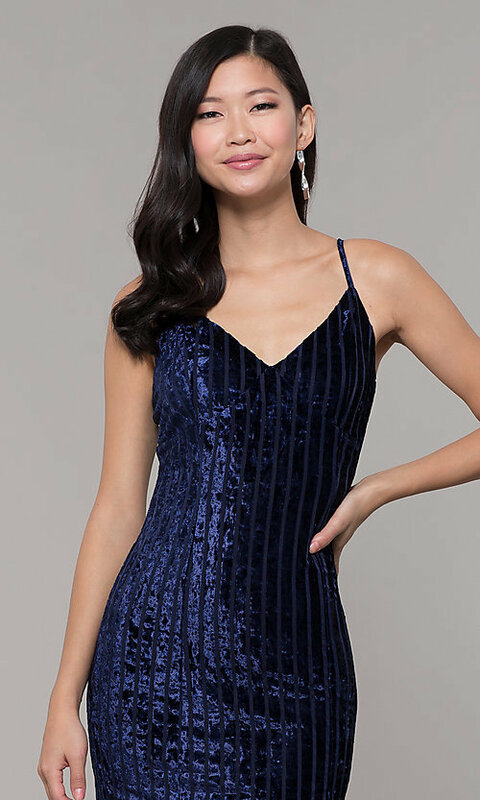 The sleeveless bodice has a subtle v-neckline that complements the body-hugging fit, as well as thin adjustable spaghetti straps for support. 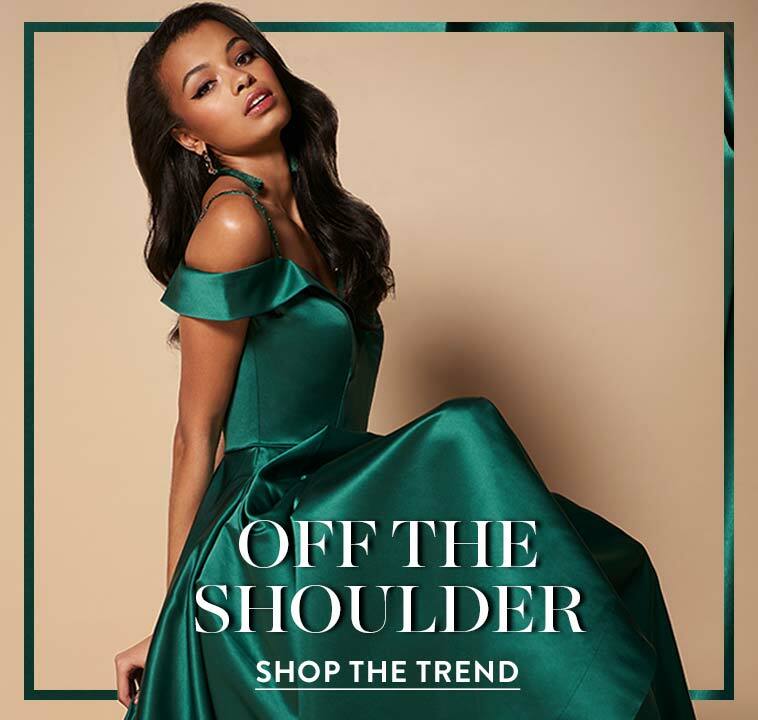 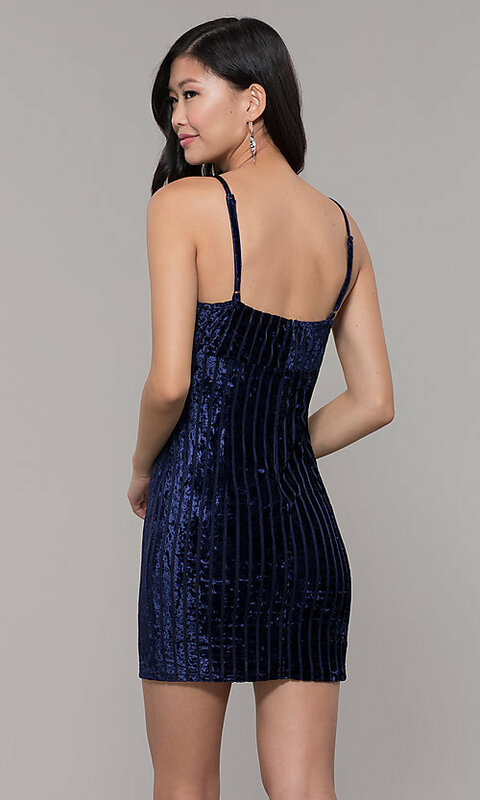 While this short blue velvet wedding-guest dress is an ideal choice for semi-formal ceremonies, it's also an on-trend option for homecomings, sweet-sixteen celebrations, and nights out on the town.